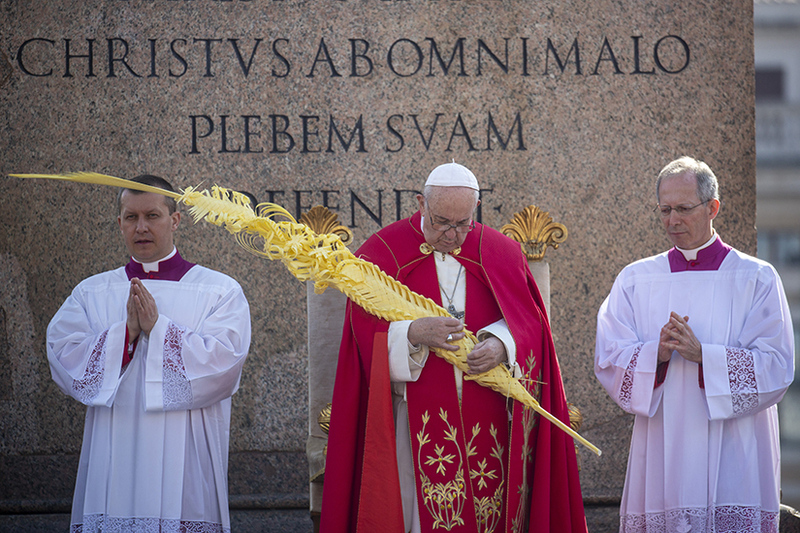 Pope Francis held palm fronds as he celebrated Palm Sunday Mass in St. Peter's Square at the Vatican April 14. VATICAN CITY -- Acclaimed by the crowds and knowing He was the Messiah they sought, Jesus still chose the path of humility and self-emptying, focused only on doing God's will, Pope Francis said on Palm Sunday. 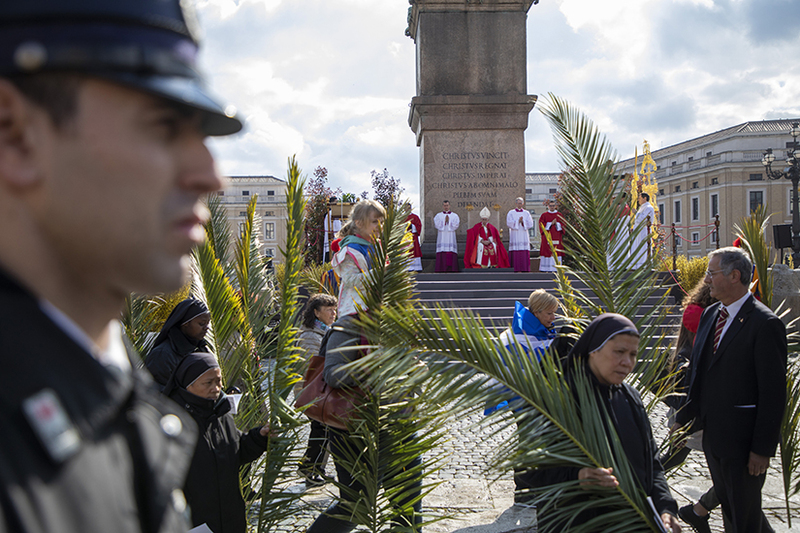 People carried palm fronds at Palm Sunday Mass in St. Peter's Square at the Vatican April 14.